So Epicurus was right – up to a point. His philosophy gets us to the “good life,” which is not a bad place to be. Family, community, and the undertaking of “involvement” and “exposure” activities to achieve flow experiences, will alleviate the pain and anxiety of the everyday world. The four painters mentioned earlier, Epicurus, and Maslow, are in agreement regarding how best to satisfy the first four Maslow needs. However, there is still a fifth Maslow need, and a further segment of the road to happiness – the Adventure. Epicurus does not recognize this fifth Maslow need – self-actualization, nor does he recognize the Adventure. However, another philosophical school does recognize the adventure – The Stoics. We now turn to this school to understand the Adventure with a series of three painters. This entry was posted in Uncategorized and tagged Adventure, Epicurus, journey on May 8, 2015 by oliver. In my last three posts, I presented three paintings centered around a meal. The Van Gogh painting illustrated the need for food, being satisfied through the family. 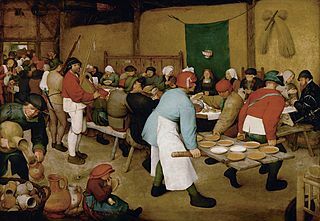 The Brueghel the Elder painting illustrates the need for safety, being satisfied through one’s family as well as one’s community. 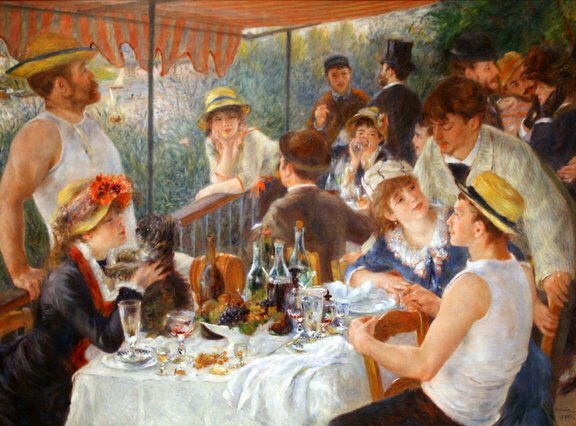 The Renoir painting illustrates the need for belongingness and friendship being satisfied through one’s friends. It is the need for flow experiences, distancing one from the worries of the everyday world, that this “involvement” activity satisfies. But this activity can only be pursued if the previous needs have been satisfied by one’s family and community. 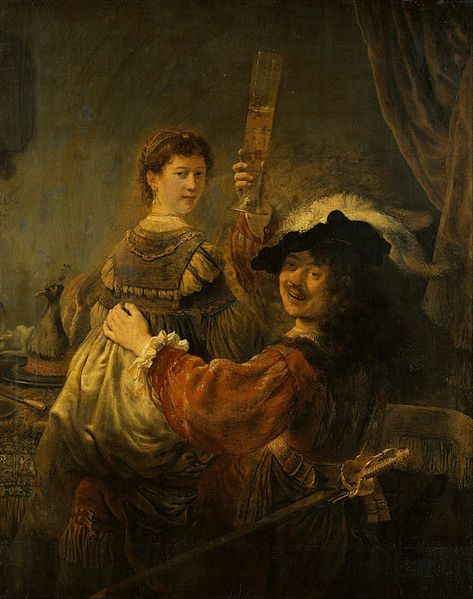 The fourth painting, representing the final segment of the Journey, is by Rembrandt. This painting represents the attainment of the “good life.” It presents a man who has achieved much in life, a position achieved by one who has developed self-esteem. The satisfaction of the self-esteem need (Maslow’s fourth need) is achieved through engaging in “exposure” activities. These activities distance the individual from others and leads to recognition, prestige, and the goodwill of others – self-esteem. The desire for further flow is the catalyst for the individual to engage in these “exposure” activities, which, if successful, lead to the satisfaction of the self-esteem need. How do these paintings reflect philosophical teachings will be discussed next. This entry was posted in Uncategorized and tagged journey, Rembrandt on April 24, 2015 by oliver. The Journey is the first part of the road to happiness. Once the Journey is complete, the road to happiness continues with the Adventure. The Journey is that part of the road from birth leading up to the “good life.” This segment involves nurturing by one’s family, safety provided by society, belongingness with one’s family and community, and a sense of self-esteem for a job well-done. The nurturing and safety are provided to the individual by his/her family and society. Belongingness and self-esteem are derived from “involvement” and “exposure” activities undertaken to create a sense of “flow.” Flow is the experience of a distancing of oneself from the cares and worries of the everyday world. This longing for flow experiences brings about activities that lead to a sense of belonging and self-worth. It is through these activities undertaken during the Journey that one acquires the virtues needed for the Adventure. I present a number of artists that portray each of these four segments of the Journey, which are displayed in the first three galleries of my book. It just so happens that four specific paintings from my book are all that is needed to illustrate the Journey. It is also interesting that these four paintings all involve activities around a meal with others. 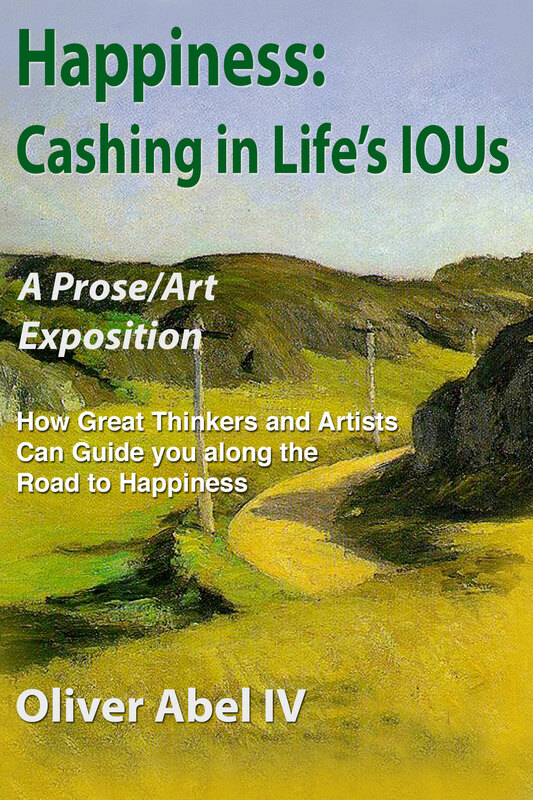 What I would like to do in this blog and several future blogs is present just the four paintings that illustrate the Journey. It will be interesting to see how each painter goes about presenting the corresponding segment of the Journey and how they differ from one another. Let’s begin. 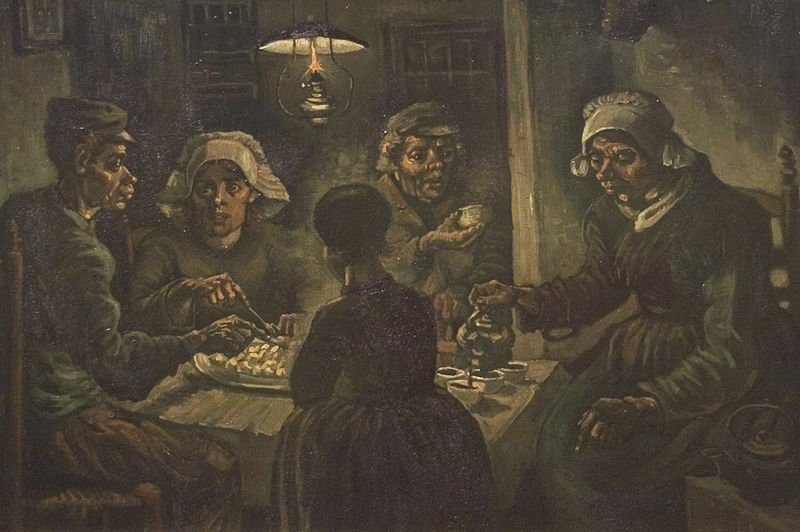 The painting below, The Potato Eaters, is by Van Gogh, his favorite of all his paintings. The painting depicts a family happy just to have food on the table. There is very little else on the minds of the characters beyond having food to eat. The lamp illuminates the faces of these workers, shown as compassionate and caring of one another. The character whose face is not seen, most likely a child, appears anxious for the food and grateful for the meal, supplied by the other adults at the table. This scene represents Maslow’s utopia for those who are simply attempting to satisfy the most basic need: a place in which there is plenty of food for the chronically and extremely hungry among us. This is the very beginning of the Journey for all of us. It would be difficult to move forward in life if all that you are concerned about is food and warmth. The next painting, by a very different artist, will take us forward along the Journey. More in the next blog! This entry was posted in Uncategorized and tagged journey, Van Gogh on April 3, 2015 by oliver. Epicurus agreed with the other ancient philosophers that the aim of life is happiness; however, he defined happiness as tranquility and freedom from pain and anxiety – the “good life.” To Epicurus, the freedom from pain and anxiety of the “good life” is a state free of any further needs or desires, and as such, happiness. In psychological terms, the Epicurean state of happiness is the satisfaction of Maslow’s first four needs of his hierarchy (achieved through a loving family, just society, and flow experiences). This entry was posted in Key Ancient Philosophers and tagged Epicurus, journey on March 27, 2015 by oliver.